“If ever we needed prayer, it is now. The pain is indescribable.” I read and reread Maegan’s post on Facebook in absolute shock and disbelief. No. There must have been a mistake. This can’t be. None of the thousands upon thousands who rallied in prayer the past several weeks expected the story to end this way. Rain fell steadily from the normally bright blue skies here in Southern California the first Saturday in December. Our family, dressed in dark colors, joined hundreds of family and friends, filling a church to capacity. 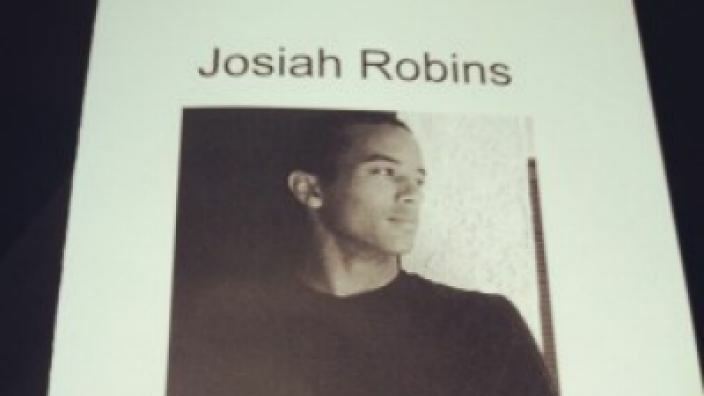 Love and sorrow flowed through the aisles as we gathered to honor and remember Josiah Robins. Heaven joined us in our grief. Family and friends were gifted only two short decades with this young man of character. Our lives intersected with Josiah’s family through our friendship with his aunt, uncle and cousins. Jonathan and Josiah had AP Lit class together their junior year. Michael played the game “Heroscape” with Josiah and his cousins late into the night. Two words I most associated with Josiah: kind and grounded. Josiah’s quiet strength and the unstoppable love of his extended family influenced people all across the country. We wept as we collectively celebrated a life so full of promise, suddenly cut short. Early in November a motorcycle accident in Arkansas sent Josiah to the emergency room. After realizing the extent of his injuries, the doctors had him airlifted to Tulsa, Oklahoma. He spent his final weeks in the ICU. A star athlete throughout his young life, his healthy body made steady improvement even as his underwent surgeries including having both his legs amputated. As word got out, the faithful rallied and prayed. And God heard prayers for Josiah, his siblings, his mom, his extended family at all hours, from coast to coast and around the world. We prayed in faith, asking and believing God for complete healing and restoration. Everything seemed to point to answered prayer. I’ve struggled over the outcome of how I thought Josiah’s story would end. In fact I haven’t written a blog post since his death. I’ve turned over a thousand times in my mind the way his short life abruptly came to a close and I can’t make sense of it. Josiah’s death wasn’t the result of gang violence, or alcohol or drugs. His life brimmed with possibilities. As a young African-American man, son to a single mom, big brother to his three younger siblings, his life stood in stark contrast to poor choices he could have made but didn’t. Instead, he leaned into God and with fierce loyalty he purposed to love and protect his family. He chose to live a life that made them proud. Grounded, he rose out of the difficulties he both experienced and witnessed, like gold. Looking for answers I return to my coffee stained, tear-stained, well-worn Bible. More than looking for answers, my eyes search for Him. And I have learned and continue to learn His ways are not my ways, His thoughts are not my thoughts (Isaiah 55:8-9). I cannot fully grasp all of who He is, but still I seek. In the pages of my Bible I catch glimpses of His heart. And of His mysterious ways. In Mark 5:1-20 I read about Jesus and the man from Gerasenes possessed by a legion of demons. The demons torment the man day and night causing him to cry out and gash himself with stones. When Jesus confronts the demons they ask him to send them into the pigs (v12-13). The townspeople, familiar with the demon possessed man, find out about the deliverance and get scared. They ask Jesus to leave (v17). The man who had been demon possessed, now calm, clothed, and clear-headed, asks to accompany Jesus (v18). Jesus loved the man He rescued and restored. But unlike the first two petitions He responded “no” to the man’s request. I realize how resistant I am to hear “no.” I unconsciously equate “no” with absence of love or favor. When God says “no” to us He never stops loving. His “no” is never cruel or petty or haphazard. His good purposes cannot be thwarted. So I am left scanning the pages wondering who Jesus wanted this man to meet in Decapolis (v20). And while I believe Kierstin’s words to be true, my heart grieves deeply along with the Josiah’s family and friends of all Josiah’s missed milestones: his college graduation, awards, travels, birthdays, wedding, children. Holding both the grief and the hope, I can’t help but think God’s “no” to our prayers for Josiah involves so much more than we know at this point. In the Garden of Gethsemane, Jesus asks the Father if it’s possible for the cup of suffering and dying on the cross to pass him (Matthew 26:39). Even to His Beloved Son. What is your reaction when God says no?